Chris Woollams presents an argument against chemotherapy. The reply, by the medical profession, can be found here. I’m sitting in a room in a Hospice. My daughter is asleep with her brain tumour. But in the last few days I have had several interesting conversations. All the patients in the ward are dying of cancer. In Catherine’s case her oncologist has said that there is nothing more he can do and so he has passed her on to palliative care and the Hospice. I suppose I should accept that, at this stage, all bets are off, but it’s not in my nature to sit back idly and no longer try. I even turned the radio on yesterday and the first words I heard were ’never give up, never give up’ in a pop song. Spooky. But Catherine drinks her Ribena, has a breakfast of Rice Crispies or Bran Flakes with milk and eats the excellent fish in cream sauce, and ice cream, all provided by the NHS. A sense of ’deja vu’ passes over me. Earlier in the year two readers sent in a booklet from The Royal Marsden which provided information on what patients should eat whilst having chemotherapy. So alarmed were we by the recommendations featuring cancer-fuelling high levels of fat, sugar and salt - the booklet even showed pictures of milk shakes, cheeseburgers and doughnuts - we asked ten different cancer centres to give us their views. In the Royal Marsden’s defence we discovered that their dieticians were so overworked they only had time for about 7-10 per cent of all patients; always those who were losing weight fast and thus their diet recommendations were specifically designed to tackle these extreme cases. However, the booklet still went out to all chemo patients. But I do wonder, and worry. When Catherine ’came-to’ after a brain tumour operation in February, her hospital diet again was cows’ dairy- and sugar-based. Glucose is the favourite food of a cancer cell. It is essential to their existence. Ribena has more sugar than coca cola, which has about 10 spoonful per can. Glucose fuels cancer and we’ve known this since 1931. Worse, new research has shown that within 15 minutes of eating sugar certain areas of the immune system can be depleted by up to 90 per cent! Cows’ Dairy has high levels of IGF1 and this has been known to help propagate cancers since 1992. Salt (sodium) helps imbalance your cellular power stations by displacing potassium. It powers them down and encourages a state favoured by cancer cells. Why don’t hospitals know this? I asked Catherine’s oncologist why she was being fed sugar. He turned to his fellow cancer ’expert’ and laughed at me; "Chris wants to stop glycolysis, to stop the cancer". He’s right; I do. I don’t see why it’s funny. Certainly the nurses did not know, but they were very keen to learn. All unanimously praised icon for its information and its breadth - they like the fact that it covers diet and chemotherapy, supplements and radiotherapy equally and open-mindedly. As the discussions developed, we got on to subjects like B-17. As readers know, I am neither ’for’ B-17 nor ’against’ it. I am completely open-minded and I believe it is time to research it properly in a fair and unbiased way. We all need to know the truth. The standard criticism of B-17 is that ’it contains cyanide’. But then so does vitamin B-12 and no one in their right mind is suggesting we ban vitamin B-12 in the UK. It is essential to over 300 biochemical pathways. In some quarters, ’experts’ claim that there is no evidence that B-17 works to kill cancer cells. But, in fact there are 5 studies - on animals and humans - saying it does. Some ’experts’ say that this cyanide content of B-17 means it is dangerous and could kill people. So where is the factual evidence of B-17, when properly administered by qualified doctors, showing the side effects of killing people? What percentage does it kill? Again we’d simply like to pass this on to our readers. And, there’s a world of difference between eating apricot kernels and natural amygdalin, and taking the synthetic drug laetrile. The same scenario goes for The Gerson Therapy, Mistletoe, Hydrazine Sulphate etc. etc. etc. (Mistletoe has clinical trials in Germany, Hydrazine Sulphate in Russia yet these seem generally ignored - or rubbished - in the USA and UK). So increasingly in the UK - in the absence of any full and proper data on such alternative or complementary therapies - we are herded down a tunnel labelled "Surgery, Radiotherapy and Chemotherapy". For the majority of people, it’s a tunnel with a wall at the end. And here’s the rub. Catherine’s five nurses had a number of views on chemotherapy. Broadly they were in three areas. Doctors don’t really know about this because they don’t come often enough to the coalface! Recently there have been a number of press reports about the use of Complementary and Alternative Medicines, such as fish oils and herbs and how people taking these must be careful because of their side effects, especially where they might interact with prescribed drugs. Some people are even proposing restrictions, prescriptions and warning labels. But when the nurse gives Catherine her eleven pills with her breakfast, are any similar warnings given to Catherine on side-effects of this chemical cocktail? What is known about the interaction of the four or five different types of drug? Have there been trials conducted on this concoction? Of course not; just on the individual elements. As an ex-advertising man you would expect me to want drugs to be advertised on TV. But, in fact, a US TV ad for a drug makes the side-effect point better than I can ever do. The first 10-12 seconds of the ad tells you what the drug can do for you; the next 15-18 seconds lists the side-effects. It’s the law. Every drug you put in your mouth has a side-effect. Fact. And most usually the doctor will try to control that side effect with another drug. That is why some patients take three or four types of drug and why there is no such thing as a poor pharmaceutical company. Three and a half years ago, my daughter was ’given’ six months to live by her oncologist. She had a grade 4 glioblatoma then and he told me a life expectancy of six months maximum was his considered view. The maximum anyone had survived at St Thomas’ Hospital in London was 18 months. As readers may know, after 12 months her scans kept showing "all clears" and two doctors encouraged me to write the book, ’Everything you need to know to help you beat cancer’. I was approached for information by someone about her cousin, who also had a brain tumour. By coincidence he was under the same oncologist as Catherine. However he, being rich and ex-city, had sought a second opinion in Duke’s Cancer Center in Carolina, in the USA. They told him that the drug doses provided in the UK were too low and he should virtually double them. So he did. Interestingly in my conversations with him, he told me that every time he went on holiday to the sun (South Africa, Barbados) his tumour stopped growing. Was that rest, relaxation, or more likely the benefits of Vitamin D? Did anybody look into why this might be so? No. I saw him last at the National Brain Tumour Conference, where I was giving a speech. He was ashen-faced with scabs on his lips. Clearly the chemotherapy was taking a toll on his immune system. However, he said he felt fine and was very positive. He left the conference on the Tuesday, went to watch a golf match with his father on the Thursday, collapsed, and died on the Saturday. His death is recorded as cancer and a brain tumour. He actually died because the drugs caused a haemorrhage in a blood vessel in his brain. That there will always be people who live longer than expected; he called this the Urban Myth. That unless Complementary Therapies (such as Gerson) subjected themselves to the same rigorous standards as drugs have to pass, they would be forever condemned to the peripheries of medicine. Professor Baum, unfortunately in my opinion, makes it all sound like a special club with clear rules for membership. That there have been incidences of ’clinical trials’ on drugs being less than rigorous, side-effects hidden, judgements on their conclusions treated over-enthusiastically, but that ’once approved’ (for example by the FDA in America), these drugs are accepted, full stop. That too often research on complementary and alternative therapies is non-existent, or trivial, or conflicting, (for example - see Cancer Watch on gastro-intestinal cancers this month), and this makes it easily criticised. That the majority of the medical profession thus places its trust in the former and simply dismisses the latter, resulting in this vision of drugs as our only salvation. Let me quote you some figures. 1) The National Audit Office has stated in 2004 that over the last 30 years, 5-year survival rates for cancer patients have improved by 12 per cent. What? Only 12 per cent, despite all the money being spent on drugs and treatments? Certain cancers, for example child leukaemias and testicular, are very treatable by chemotherapy agents. Skin cancers, which have roared into the ’charts’ in the UK in second place are also very treatable. Where does that leave the rest of the cancers? 2) Accordingly to the National Audit Office, 5-year survival rates vary greatly by cancer type, but we are now in line with Europe. Not true. In Eurocare-3, the best country was Sweden with about 83 per cent survival, then France and Germany with over 81. Where was the UK? Answer; Around 73 per cent. Below the average for Europe; but reassuringly above the likes of Poland and Latvia. Try Prostate Cancer; if you dare. Top, Austria at 83 per cent. The UK? Below the average for Europe, at 53 per cent. "This is the URBAN MYTH, Professor Baum. That radiotherapy and chemotherapy ’CURE’ cancer. They don’t. And less than half the time, they fail to even get you to the 5-year mark." But still we seem destined to merely ape the USA, with more "wonder drugs" and "breakthroughs" almost a weekly occurrence. Yet the US has 5-year survival rates of only 51 per cent for whites and 48 per cent for blacks. And in the UK we are not even that good! The Austrians use a number of herbal remedies. In Germany top oncologists are often trained homeopaths. They may test their patients with Vega machines to look for allergies, toxins and the like. Which doctors in the UK have even seen a Vega machine? In Germany, if the first treatment doesn’t work, the oncologist has to give you an alternative by law. My local GP in France is also a qualified homeopath and claims he has never given anyone an antibiotic. And France has the best healthcare service in the world according to the WHO (World Health Organisation). When will we open our eyes? The fact is that historically chemotherapy drugs were like dropping a nuclear bomb on Watford because there was a known terrorist cell there. Even then this was no guarantee that one would not have gone to London for the day. Please don’t get me wrong. I am not anti-chemotherapy. If I had testicular cancer, or child leukaemia I would consider the drugs on offer. If I had pancreatic cancer or a brain tumour I certainly would not. I am simply ’anti’ the blind faith of the medical profession; the back slapping, pseudo-euphoria that meets every new drug launch and espouses that somehow drugs cure cancer. Then there is the incessant ’Wonder drug’ press release barrage, and the mindless media who just copy and paste the claims into their newspapers. Now there is no doubt that scientists are trying to develop the smart bomb for cancer: The missile that goes down streets, round corners and only hits the house with the terrorists in it. And I’m very happy about this. Unfortunately while we wait, more innocent victims are suffering, because the majority of the drugs do not actually deliver a ’cure’, but do deliver a host of debilitating side-effects. Hardly a day passes without more claims for yet another wonder drug. The pharmaceutical companies have excellent PR machines, aided and abetted by a few over-enthusiastic scientists and doctors. Take Professor Alex Markham, chief executive of Cancer Research UK. In an interview in The Times on 20th September 2004 he was positively ecstatic. "It is an extraordinary fact. In 2004 we will put almost 30,000 patients into (drug) trials, while the US does about 25,000. We have never done so well. 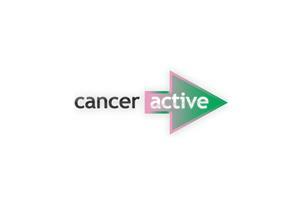 Survival rates for adult cancers have increased by 1 per cent a year over the last decade. (Note: this disagrees with the National Audit figure of 12 per cent in 30 years). We cure 43 per cent of people who develop cancer in this country." No we don’t. We get them to live 5 years. Don’t exaggerate. He is worried about three cancers: lung, pancreas and oesophageal but does not mention the rising tide of brain tumours or oestrogen-driven cancers. In the young (where child leukaemia does have effective drugs) he claims we have "gone from 70 per cent dying to 70 per cent surviving". "Cure". "Surviving". The words just roll off his tongue without concern for any possible misleading effect. Does he talk of their true meaning or put an asterisk in the research report that says "for 5 years". Indeed in children, brain tumours are clearly growing behind leukaemia with no "cure" in sight and little or no research being done by Cancer Research UK. Now, it is true that some drugs are accepted as merely life-extenders, for 4 months or 4 years, and no one can dismiss this benefit providing it is not gained at too great a cost. A further cautionary note was sounded at the European Breast Cancer Conference in 2004 by several scientists who warned that drugs were being rushed onto the market before trials were even finished, whilst "success" claims were being made even earlier. In breast cancer the "gold standard" is Tamoxifen. It acts to block oestrogen receptor sites. It is known to have serious side effects, so much so that the World Health Organisation has dubbed it a class A carcinogen itself! In California where a fair amount of Tamoxifen is made, what did they do about this? Well, of course they tried to have the WHO banned! If you read the work of Phillip Day and Steve Ransom you will be told that the very original trial and application for Tamoxifen was turned down by the FDA because of the side effects. A while later the same trial was re-presented, and again turned down. Undeterred, and knowing the FDA needed something (anything?) that might help in the fight with breast cancer, the same original trial was re-presented a third time, and gained approval. Is this what Professor Baum regards as the rigorous system to which the likes of Gerson should aspire, one wonders? Tamoxifen is largely given to women after breast cancer has appeared and to prevent a reoccurrence. However, it is also used as a preventative drug in cases where women are at high risk. As you will see in this issue’s Cancer Watch, new research says that its benefits in these cases are doubtful, whilst its side effects are definitely dangerous. Where were the rigorous clinical trials on Tamoxifen as a preventative agent, for women as yet untouched by cancer? None exists. In September 2004, the Daily Mail carried a story about Femara (Letrozole), an oestrogen inhibitor, which has just been approved by UK authorities. "Doctors have hailed the drug as a landmark in the treatment of the disease. Until now the "gold standard" has been Tamoxifen. But it can be taken for only five years, after which it becomes less effective and has serious side-effects, " says the article. The article continues by saying that a third of women with breast cancer have a relapse and more than half of them occur after Tamoxifen has ceased. Again excuse me for arguing fact here but in 2001 Government figures show that there were 39,000 or so cases of breast cancer and ’mortality’ was approximately 13,500, which is a bit more than a ’relapse’. And whilst I don’t doubt for a minute that these oestrogen-reducing drugs are a major new force in treating breast cancer, I wonder if this indicates just how confused the medical profession as a whole is becoming. Well which one is it? Too little oestrogen, or too much? Hasn’t the same profession been telling women for ten or more years that on reaching menopause it would be a good idea to take more oestrogen because they didn’t have enough. Hasn’t this view spawned enormous income for the pharmaceutical companies in HRT. Well which one is it? Too little oestrogen, or too much? Either way the pharmaceutical industry has it covered. All I want is honesty. More honesty and less ’spin’ and ’hype’ It’s not too much to ask, is it? The US solicitor Spitzer has threatened Glaxo with a class action because it extolled the virtues of one of its drugs, without saying too much about the numerous negative side effects found during the trials. The FDA are so hard pressed monitoring all the trials of all the new drugs they needed more staff. What happened? The nice pharmaceutical companies loaned them some of theirs. The phrase ’poachers turned gamekeepers’ springs to mind. In an interview for T2 last week, Richard Horton, editor of The Lancet, was startlingly candid about how pharmaceutical companies sway research agendas, buy up academics and peddle overpriced, improperly tested drugs. Researchers who take the corporate shilling, he told me, make a "bargain with the Devil". Now read this from The New York Review of Books and written by Marcia Angell, the former editor of the New England Journal of Medicine. The pharmaceutical industry is "primarily a marketing machine to sell drugs of dubious benefit... [and uses its wealth and power to co-opt every institution that might stand in its way, including the US Congress, the Food and Drugs Administration, academic medical centres, and the medical profession itself". Angell expands her tirade in a new book, The Truth about Drug Companies: How They Deceive Us and What We Can Do About It. Their attacks could hardly have been timed better. A fortnight ago 11 medical journals announced that they would refuse to publish the results of clinical trials unless those trials had been registered at their inception. The idea is to prevent companies publishing only flattering results. Since published trials are often pooled in umbrella studies - meta-analyses - the absence of disappointing results, while keeping share prices buoyant, can misrepresent the usefulness and even safety of medicines. Dr Richard Sullivan, from Cancer Research UK, says it is possible that some patients are receiving ineffective drugs because consultants are unaware of negative findings buried in unpublished data. Given that some anti-cancer therapies have unforgiving side-effects, it is a serious matter. The Pharmaceutical Research and Manufacturers of America, to which giants such as Merck belong, said last week that it would create a database to which companies could voluntarily contribute both good and bad trial results. But the idea met a brutal response. Catherine de Angelis, the editor of the Journal of the American Medical Association, asks: "Why would you put the fox in charge of the hen house?" Critics have it in for the Big Pharma, and they are certainly not bothering to sugar the pill. When Catherine was first ill and having radiotherapy she asked her doctors what would they recommend if the treatment failed. They said that they’d been at a US conference and they had a new drug in the US called Gleevec which he wanted to bring in the UK and, they added excitedly, that they could use it for Catherine. I interjected that Gleevec was made by a Swiss company Novartis. It had been used in trials with 89 glioma patients (in fact, it was called Glivac, previously). It did not work at all. However, in other trials with another cancer (myeloid leukaemia) it had been found to have real merit, it had received FDA approval for that cancer and changed it’s name to Gleevec. Why would you want to give it to my daughter for her glioma? Worse was to follow. My ex-wife and daughter went to see the doctors when the tumour re-appeared. Who said they planned to use a combination of three drugs, called PCV, and this had ’a 70 per cent success rate’. This is TOSH. 70 per cent ’cure’? 70 per cent survive 5 years? What? PCV actually made Catherine so ill she could only take one round. She had no white cells left at all. But the medical profession can give you injections to get your white cells back up. Imagine seeing your daughter injecting herself so much she couldn’t walk as a result. And the white cells did not return. At the Brain Tumour Conference, Angela and Neil Dickson of SDRT told me that they had just been to a conference where scientists said PCV should be banned because it so debilitated the immune system, and it had only ever shown a little success in children under 5. The doctors next recommended Temozolamide (which anyway only has FDA approval for Grade 3 tumours). This had undergone trials amongst 54 people for just one year, with 5 having their tumour disappear during that time. Is this the sort of standards of excellence required to join Professor Baum’s special club? This drug didn’t work either, and Catherine’s immune system stayed low and, again, she could not have a second round of the drug. But then, I truly feel sorry for oncologists. The medical system pushes them towards surgery, radiotherapy and chemotherapy, and for brain tumours, the chemotherapy doesn’t work. You don’t have to believe me. The Lancet in February 2004 says it doesn’t work for brain tumours, just as Professor Pilkington said in icon in May 2003. Meanwhile in MD Anderson, they are testing a new type of drug which stops the growth factors of brain cancer cells. It’s called Tarceva. One little problem. Just a little too often it causes a brain haemorrhage! What are we trying to do? I know that drugs are being developed which will be more targeted and not kill so many good cells. We now understand, much more clearly, the biochemistry of the cancer cell and how it differs from the normal cell and so we can make smart bombs that are far less cytotoxic. I know that others are being developed that, for example like Arimidex, cut the cancer cells’ fuel, or target a unique enzyme or property of the cancer cell. I am all for this. We seem hell bent on ignoring one, not so little, factor. Research in the USA last year came up with the conclusion we all would have expected: People with weaker immune systems develop more cancers. A weak immune system gives you less of the defenders you need to deal with any attacking cancer cell. And remember each of us develops at least 200 or so pre-cancerous cells per day; our immune systems have developed during our evolution to deal effectively with them all. We have various levels of immune system. To keep it simple I’ll divide it into three parts. friendly bacteria in the gut: These aid digestion, produce biotin (an essential antioxidant) and crucially devour yeasts, microbes and fungi that you ingest daily. Without them your first line of defence is missing. your liver: The largest organ in your body and responsible for cleaning and detoxifying your blood. Without a fully working liver toxins start to pile up around the body causing the whole immune system to ’clog up’. your white cells: These have a variety of separate but interrelated functions; for example to identify foreign invading cells, to neutralise them and to help remove them from the system. It is quite simply a fact that to take steroids, antibiotics or chemotherapy destroys the friendly bacteria in the gut. This allows the harmful yeasts, bacteria and microbes to multiply. In the presence of their favourite foods (like sugar, alcohol, refined carbohydrates, dairy and yeasty foods) they will multiply and even enter the blood system. They can colonise in areas of the body and they are anaerobes (don’t need oxygen), just like cancer cells. Some experts go as far as to link their presence to cancer. The effects of chemotherapy greatly weaken the liver’s detoxification abilities. For example, chemotherapy and radiotherapy kill cells. Some cancer cells, some normal cells. And the dead cells pass to the liver, which has to work hard to break them down and pass them out into the intestines. Cholesterol builds up around some of the dead cells to form stones, sometimes several thousands of them. These in turn block the bile ducts and prevent the elimination of toxins. One US estimate was that virtually every cancer patient had these gallstones. The effects of chemotherapy greatly weaken the liver’s detoxification abilities. And so the whole immune system ’backs up’ and it becomes harder to get the toxins out of the body. But finally, most of these drugs destroy your white cells leaving you with little or none of nature’s defence against foreign cells - like cancer cells. And that’s the conundrum. At the very moment you need your immune system in tip top working order, most chemotherapy flattens it. Temporarily or even permanently. Talk to Charlotte Gerson and she will amplify this further. With brain tumours she claims a success rate of about one third of people coming to her clinic. But if patients have already had chemotherapy, this falls to just 2 or 3 per cent, she says. Some cancer experts will tell you that patients already have a weakened immune system caused by the cancer. Chicken and egg. But Catherine’s measured blood ’scores’ fell through the floor when she had chemotherapy, and the injections couldn’t return them at all. Indeed it was only a course of Cat’s Claw, Astragalus and organic iron that took her back to somewhere near normal. Of course some cancers can ’hide’ from the immune system. But then there are scientists working on ways of ’kick starting’ the immune system. In icon we already covered one such treatment: Dendritic Cell Therapy. So, how many doctors and oncologists say to their patients at the moment of diagnosis "Right Mr Jones; the first thing we must do is get your immune system in tip top working order to help it recognise the rogue cells. After all, we want your body in its best fighting shape." In Michael Gearin-Tosh’s book (Living Proof: A Medical Mutiny), Dr Wheatley (a doctor of philosophy) quotes Dr Jeffrey Bland, a biochemist who simply states that every cancer therapy should include nutritional consultation as a standard of care. Not to, he says, should be considered, "malpractice by omission". I will tell you now that everyone we talk to, who has just been diagnosed with cancer, is nutritionally toxic (for example, too much salt in their diet) and/or nutritionally deficient (they simply don’t ingest decent levels of antioxidants through diet and/or supplements). The World Health Organisation is quite clear. They estimate that 50 per cent of all cancers are caused by poor diet; 25 per cent by toxins and 25 per cent by infection. Do doctors start at this point? Could there be an infection? We have recently completed our own independent blood tests on Catherine and they show that she definitely has a fungal infection in her brain and there is a trace of viral infection. Might not these just possibly be causal? Of course, the patient may need surgery and it is possible that radiotherapy will help - although US research suggests it only has a 15 per cent 5-year "cure" rate. And yes, some cancers respond to chemotherapy. But the point is that only a very few can be cured completely by chemotherapy, most merely, to some degree, are just managed by chemotherapy. So please will people - supposedly sensible people at that - stop OVERCLAIMING! The fact is that if a doctor quickly opts for chemotherapy he is saying that he expects the drug - not your flattened natural defences - to do all the work. And this is simply not credible. Not all the cancer cells may divide during the period of the chemotherapy. Some may even develop their own immunity, and it only needs one to survive. Recently I saw some pictures taken using laser light and Russian algae. The chlorophyll in the algae binds to the cancer and pre-cancer cells. The patient had a breast tumour. Before chemotherapy she had three "hot spots" in her breast and a few elsewhere in her body. After chemotherapy the main "hot spots" were smaller but there were a dozen or so around her body. And there is the rub. Cancer is systemic. The symptoms exist throughout your whole body, they may only manifest themselves in a tumour in one location. This is why it is so hard for radiotherapy or surgery to have long-term effect. With Catherine recently we discussed what she was doing now versus what she did in year one when cancer was under control. In fact she is more diet conscious now. She doesn’t smoke, take the pill or drink alcohol. The difference between now and then? A much, much poorer immune system, destroyed by several different chemotherapy drugs the Lancet says don’t work anyway. Are we angry? No, sad. And completely mystified. Doctors have taken an oath to try to heal people. And to do nothing to harm them. But we feel that doctors don’t even consider the basics. Worse, some doctors even laugh, snigger, disparage and discourage patients who dare to suggest taking independent action in these areas. Actually they’ve probably never even studied them, so it’s not their fault. It’s the fault of the system that trains them and the system that uses all our top doctors, scientists and professors to endlessly test drugs. Professor Julian Peto of Oxford University and Cancer Research UK was quite clear about this in his speech at the National Conference of Self Help and Support Groups 2003. He stated that there was too much drug research and it took our top doctors and scientists away from investigating possible causes of cancers and bright alternative ideas for their treatment. Certainly if I want to know about cancer causes or complementary therapies the answers rarely lie in the UK or the USA. Most usually the work is taking place in Sweden or Singapore or Australia, Russia or Japan. And what happens when Cancer Research report these findings? Well their PR releases tend to say that the conclusions are "very interesting but more research will have to be done before any action can be taken". And presumably this means the type of research that gains entry to Professor Baum’s club. And then they never do it; in the UK we simply do not find the funding for non-drug research. Ask Professor Pilkington whose team has found merit in six natural substances with brain tumours. The project has been scrapped; cancelled for the third time through lack of funding. We must conduct research on a wide spectrum of possible cancer treatments. Yes, even the Gerson Therapy. Proper research that has one group of people on drugs and an identical group on diet therapy. You see I want to see vigorous research on complementary and alternative therapies too. More research, more honesty, less ’spin’ and less ’hype’, less uninformed criticism. But the harsh reality is that funding is simply not there. In New York, as we covered in icon in September, Doctor Gonzalez is about to embarrass the FDA. In his diet therapy trial, all but one of his patients has lived the full five years, and considerably longer than those who took the chemotherapy! This is funded by a special US Government body specifically set up to do this sort of research. You see I actually agree with Professor Baum when he says these other treatments need to be researched or else they will remain on the periphery. But that is not to say that they do not have credibility at the moment. Ask the patients who use them! As I said before, I don’t blame doctors. They work within a system and to recommend vitamin supplements for example over a "tried and trusted" drug might see them struck off. But this is not to say they couldn’t suggest using vitamin supplements or diet as well. If I ran a cancer clinic I would simply want to do my level best to cure that poor patient sitting in front of me. And I would read and read, study and study and I would want to try different approaches if I didn’t feel the official ones were successful enough. And let’s face it, with five-year survival rates of 9 per cent on pancreatic cancer, 15 per cent on brain tumours, and even 53 per cent on prostate cancer, I don’t think anyone in UK medicine is in any position to factually disprove me when I say that in my opinion chemotherapy has helped kill my daughter. Frankly, it made matters a damn sight worse!